Save the Date!! 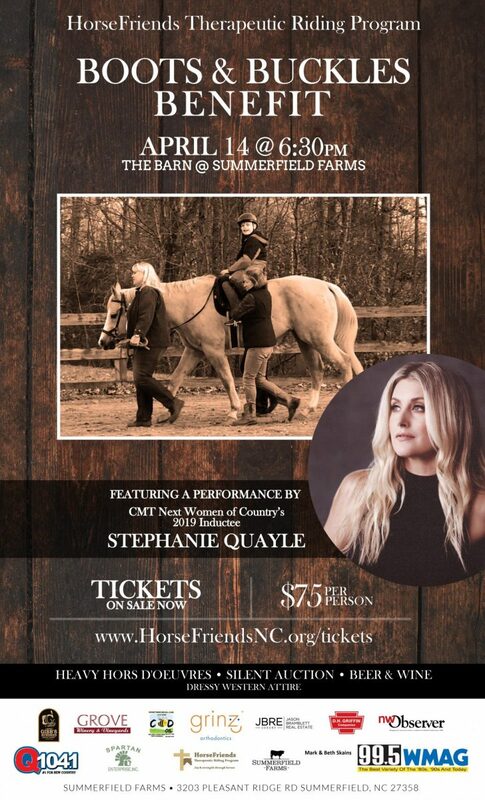 CMT Next Women of Country’s 2019 Inductee Stephanie Quayle will be performing at HorseFriends’ Boots & Buckles Benefit on Sunday, April 14 at Summerfield Farms. Join us for a fun evening of music, great food, and a silent auction. Tickets on sale now!